These exciting workshops for aspiring songwriters and musicians aged 11 to 16 – from beginners to those with some experience. Working with professional musicians, you can explore all aspects of music-making, from the nuts and bolts of song-writing to chord progressions, composition and recording. Meet like-minded people, form a band, share your ideas and learn new skills! Bring your own equipment or use theirs. Sessions take place on Monday evenings, with additional opportunities to perform to the public. 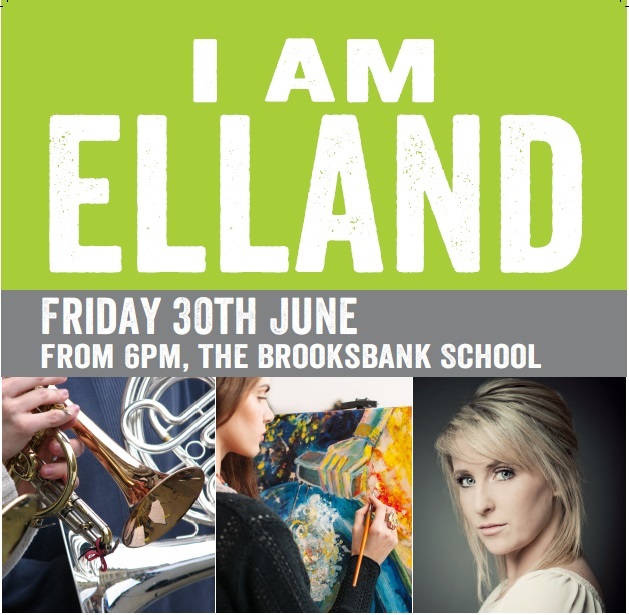 The Rock School is delivered in partnership by Square Chapel and Orange Box – to find out more please telephone Square Chapel’s Box Office on 01422 349422, or email info@squarechapel.co.uk. Orange Box Rock School is supported by Youth Music using public funding by the National Lottery through Arts Council England. This entry was posted in Get Involved / Have Your Say, Nov, Oct, Sep, Young People and tagged calderdale, Orangebox, Young People. The Sure Start newsletter for Spring 2018 includes details of the new baby clinics, a what’s on guide for all our Children’s Centres and how to follow each individual Centre on it’s own Facebook page. Have you thought about getting a better deal on your energy bills? With NHP Energy Levels you could boost your energy and save money. The newsletter gives details of the drop-in sessions January to March 2018 when Ofgem and Citizens Advice will show you how to go Energy Shopping. The newsletter also includes dates for Sure Start training courses taking place in both Lower Valley and North & East Halifax from January to March 2018. This entry was posted in Brighouse, Elland, Energy Levels, Feb, Get Involved / Have Your Say, Jan, Mar, Rastrick and tagged December, Events, February, January, March, Newsletter, NHP Sure Start Children's Centres, Sure Start, Training, Young People. If you or someone you know have a disability and are looking to try something new, whilst learning new skills, getting fitter and meeting new people then disability football may be just the thing for you. Age 7 year and upwards welcome although under 16’s should be accompanied by an adult unless approved by a coach. For further information call John King on 07982 801988 or email kingyjs1965@gmail.com. This entry was posted in Get Involved / Have Your Say, Greetland & Stainland and tagged Disability, Football, Get Involved, Greetland, Greetland Goldstars JFC, Halifax, Junior Football, sport, Young People. 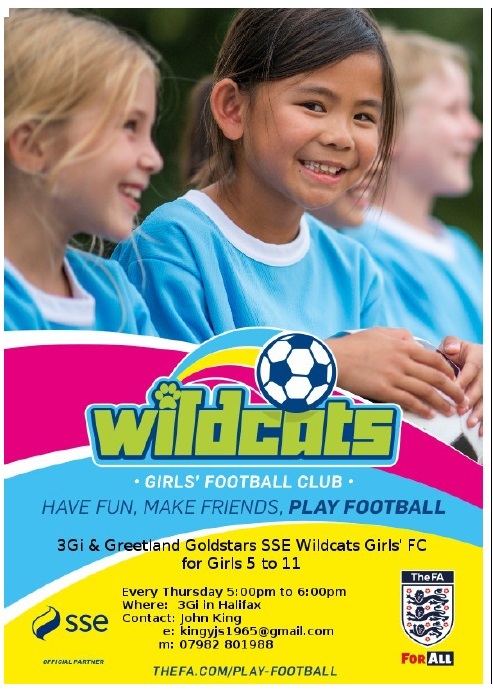 Greetland Goldstars are currently searching for new players to join the girls football teams, the Wildcats which play in the West Riding Girls League. Training sessions for under 9’s and under 11’s teams are every Thursday – 5.00pm to 6.00pm at 3Gi, in Halifax. If you are interested in joining the team please contact John King at kingyjs1965@gmail.com or call 07982 801988. Click here for a brief background on Greetland Goldstars. This entry was posted in Get Involved / Have Your Say, Greetland & Stainland and tagged Football, Football Training, Get Involved, Girls, Greetland Community Centre, Greetland Goldstars, Young People. 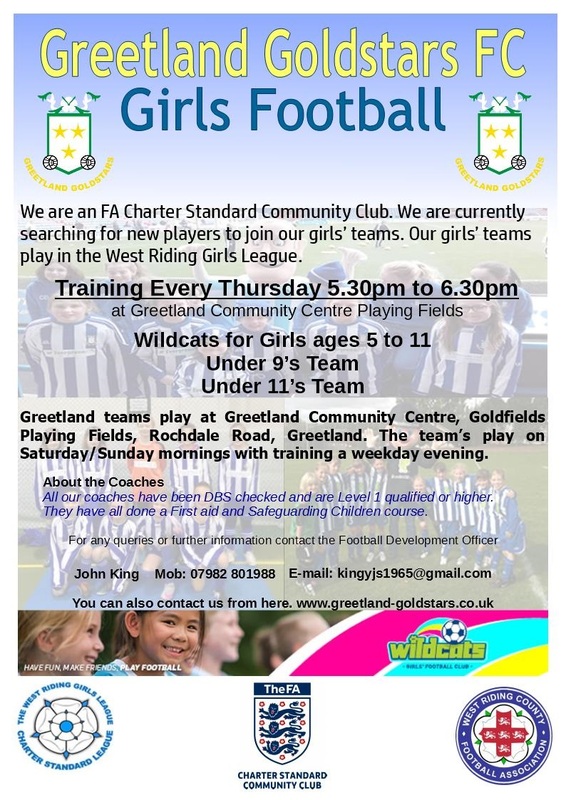 Greetland Goldstars Girls Team – Training now! If you are interested in joining the team please contact John King at John.king@kcom.com or call 07982 801988. Are you between 13 and 16 years old? Would you like to make a contribution to your community? Would you like to challenge yourself and learn new skills? Do you have an interest in policing and public services? Are you considering the police as a future career? Do you want to complete the Duke of Edinburgh award? This entry was posted in Oct, Young People and tagged West Yorkshire Police, Young People. Fortnightly- Saturday 15 July, 9 September, 23 September, 7 October, 21 October, 4 November, 18 November, 2 December, 16 December 10.30am-12.30pm at Smith Art Gallery, Halifax Rd, Brighouse HD6 2AF. 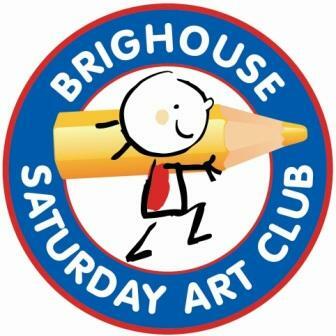 Children aged 8-14 years old are invited to come along and be creative, make stuff and have fun at the Brighouse Saturday Art Club. We use the fantastic collections at the gallery for inspiration. This entry was posted in Brighouse, Dec, Elland, Events, Get Involved / Have Your Say, Greetland & Stainland, Hipperholme & Lightcliffe, July, Oct, Rastrick, Sep, Young People and tagged Art Club, Brighouse, Get Involved, Smith Art Gallery, Young People. The 2017 Summer Camp is for boys and girls aged 4+ and is suitable for all levels & abilities – Both members and non-members welcome. A full week at camp is costs £100 (individual day prices available on request and a discount is available for sibling bookings). This entry was posted in Aug and tagged Calderdale College, Inspire Centre, Summer Camp, Young People.